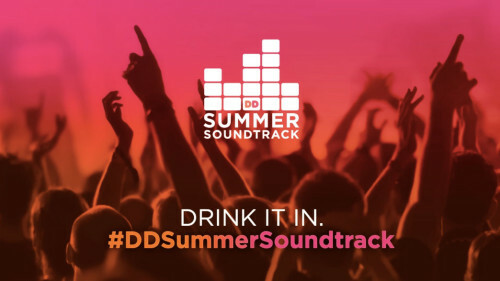 In support of Dunkin’ Donuts’ love of music, Hill Holliday partnered with Spotify to launch ‘DD Summer Sountrack,’ a brand partnership focused on celebrating music representative of Dunkin’s upbeat, positive sensibility. The core of the program was a 5-city concert series (Miami, Philadelphia, Chicago, New York and Boston), with one band per town playing a short lunchtime set. 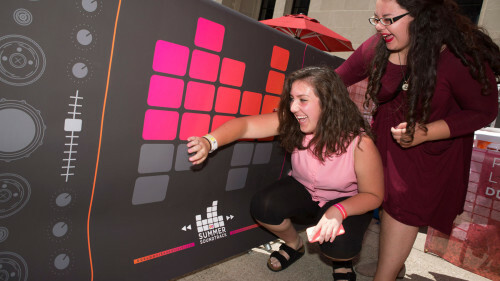 The bands were selected using Spotify’s robust dataset with a focus on emerging artists with an increasingly rabid fanbase. Each free show, staged in high-traffic public areas, included VIP giveaways, meet and greets with the bands, and of course, free coffee. 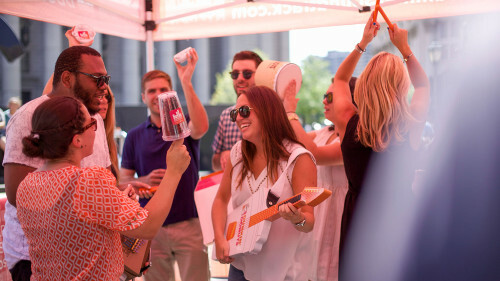 We also brought along a bevy of prop instruments fabricated to look like Dunkin’ products for impromptu jam sessions, as well as a few interactive elements including a barricade-mounted digital drum pad and posters printed with electroconductive ink that worked as electronic drum pads.